Description: These Gibson Muscle Car exhaust systems are engineered and manufactured to not only produce an optimum increase throughout the power band, but also to provide a deep, throaty exhaust tone when you put the pedal to the metal. 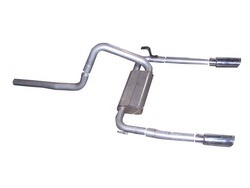 They feature Gibson's Superflow CFT performance mufflers that use a unique internal angular design, creating a venturi effect and allowing exhaust gases to be pulled out at an increased velocity. The mufflers also have directional louvered tuning ports that guide exhaust gases into resonance chambers to create a deep, throaty exhaust note. To ensure optimum power and torque, all Gibson Muscle Car exhaust systems utilize large diameter mandrel-bent tubing, a Superflow CFT performance muffler, and mirror-polished intercooled T-304 stainless steel exhaust tips. 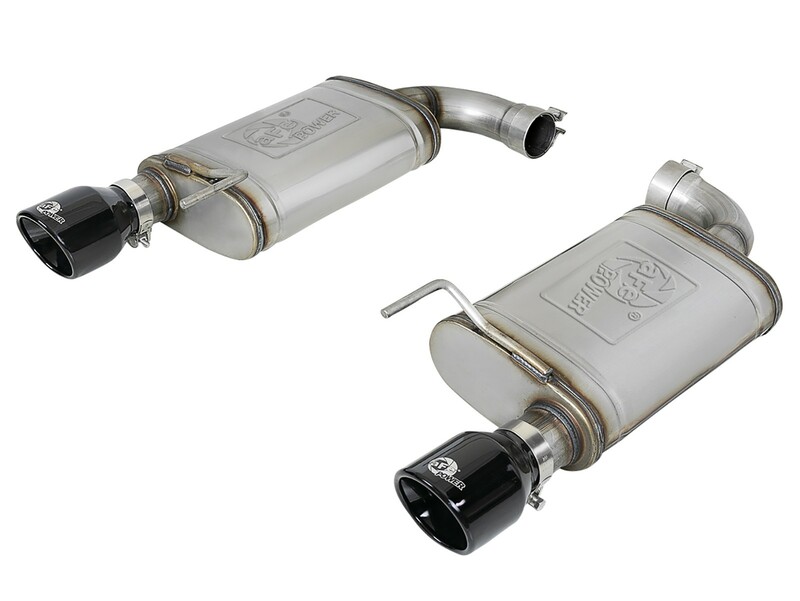 Available in aluminized or stainless steel finishes, the Gibson Muscle Car exhaust systems are an excellent choice for your late model car.